By 2020, one third of the digital world will be engulfed by data. It’s a known fact that the vast amount of data that is available today is unstructured. Constant churning, segmentation and characterization of such data will lead to Metadata, which is one of the dynamic and most demanding data segments today. Especially in the healthcare sector, big data has been a great enabler where it is used to predict epidemics, thus cure chronic ailments and diseases to constantly improve and elevate the quality of life to a greater extent. With the demography of the world undergoing a constant change in terms of the expectation of quality healthcare, the most significant aspect to know is that such changes are actually data driven. Data is helping healthcare professionals predict and anticipate any signs of illness at an early stage in order to remediate it immediately. One such example in the modern day world is the use of smart phones with apps that include several health monitoring features from measuring your daily calorie intake, how much walk you walk in a day etc. 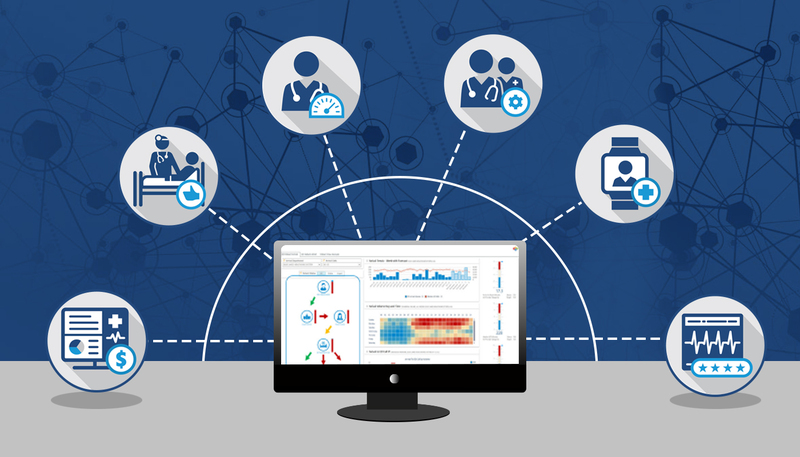 All the data is shared with a health expert or your doctor which will be used for enhancing your health and lifestyle. The important point however is such information when collected regularly will be used as to assess the health of the people in general, their lifestyle and then drive medical innovations in that direction. Just to give an idea, the amount of data that is collected every day starts from your labs, X-ray’s, MRIs, prescriptions, clinical trials, ECGs, to your medical claims and other forms of patient data, is unimaginable. According to a study done, more than 750 quadrillion bytes of data is churned out every single day, and all these data are also grinded into analytics to dynamically convert the just sitting data to make sense of it. New steps are being taken by tech giants such as Apple, which has recently released an iPhone feature which enables patients to access their medical records instantly. Similarly many such breakthroughs will only make the treatment and attention time for the patients faster and much improved. Digital platforms as discussed earlier which can help patients monitor their heath remotely are on the rise. From Blood sugar, weight, food and medicine intake, such features many a times prevent diseases and act as life savers to many patients. Ever since the usage of data into healthcare and medical systems, there are some outcomes which stand glaring before us that self-explain the significance and the change data has brought about in patient healthcare. Hospitals across US are experiencing lesser admittance to emergencies, and are gaining the confidence to admit chronically ill patients, while the number of patients undergoing surgeries have also come down. Patient’s wristbands now enable automatic data uploads and prevents the nurses or other staff to reenter or record any data manually. As a result, nurses have started to spend more time with patients, while it is also a fact that the information is passed on to the attending doctor remotely and quickly making him capable of reading and assessing the patient much before he meets him. With such abundant information and recurring outcomes, it is only time that organizations demonstrate and present before the patients the multitude of benefits that patients can avail and establish a more personalized relationship between the two. Thus encouraging patients to involve in this big data bandwagon for improved healthcare.